The relationship between Apple and Samsung is a strange one. While both the Cupertino based iPhone manufacturer and the South Korean electronics giant are bitter rivals in the field of smartphones and tablets, they are also major business partners, each gaining from the other. For those who of you who do not know, Apple sources many of its parts from Samsung Electronics. This includes solid state drives for the Mac Mini, Retina display units for its iPhones, iPod touch and iPads and the A-Series microprocessors that powers all of Apple’s mobile devices. Of these, the last two are the important ones as only Samsung Electronics can reliably supply a company like Apple with the amount of hardware that can meet the huge customer demand. Various reports have now emerged stating that Samsung Electronics has hiked the price of the chips supplied by it by 20 percent and this applies only to Apple. While Apple’s A-Series ARM based mobile processing units are designed in-house, it lacks the required infrastructure and expertise to manufacture the chips by itself and hence relies on Samsung for it. Apple purchased 130 million A-Series chips from Samsung Electronics last year and this year that figure has increased to 200 million. Apple might not be too keen to be so dependent on a major rival like Samsung but at present its hands are tied. 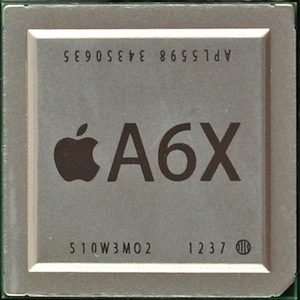 However, in the future the possibility of an Apple designed and Apple built chip is very much a possibility. In fact, not too long back Apple hired Jim Mergard, an engineer who previously used to work for AMD and Samsung. The contract between Samsung and Apple is set to expire only in 2014.